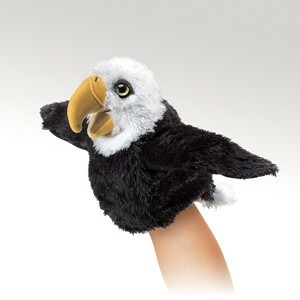 Folkmanis 2970 - Representing our majestic national bird, the proud LITTLE EAGLE puppet is small enough to tuck away in your pocket! Measures 4” long, 6” wide, 8” tall. Little puppet with moveable mouth and wings.